Opened on 5 May 1915 in the Palazzo Bianco, since 1934 it is based in the house where Giuseppe Mazzini was born, in Via Lomellini 11. 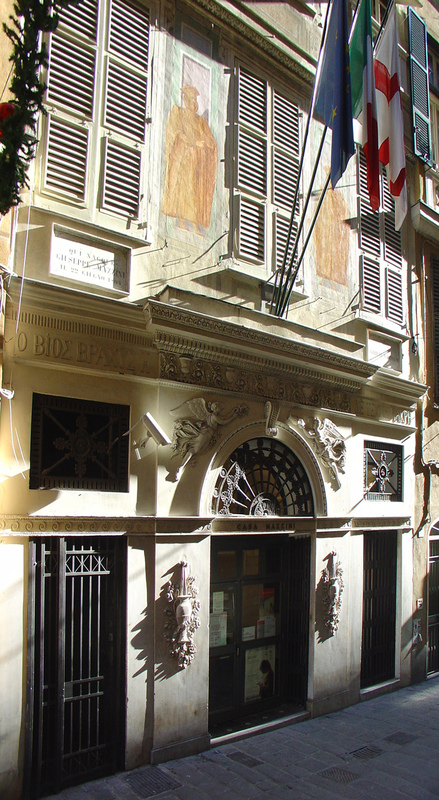 The Museum of Risorgimento preserves and exhibits a rich historical and artistic heritage (documents, paintings, prints, weapons, uniforms, photographs, memorabilia), through which the iconic figures of the Risorgimento come back to life: Mazzini and the republican and democratic movement, Garibaldi and the Red Shirts, Goffredo Mameli and the Italian anthem. Enriched by multimedia installations, the exhibition traces the historical events that led to the unification of Italy, the Genoese anti-Austrian revolt of 1746 until the inauguration of the Monument to the Thousand in Quarto in 1915. An important location was given to the manuscript bearing the first draft of the Italian anthem signed by Goffredo Mameli, sung in public for the first time in Genoa on 10 December 1847, and to other pieces relating to Giuseppe Mazzini, including the guitar he used to play during his long exile in London, still played today on the occasion of special anniversaries.